Following my prior post Microsoft Shaping The Serious Games Movement Into A Multi-Billion Dollar Market, where I state that "by no means would Microsoft join either a current $ 150 million dollar market or a to-be $ 1 billion market only in 2011" (as projected by a few sources), BusinessWeek has published an article this week where David Boker, senior director of the Business Development Group at Microsoft's Aces Studio, one of Microsoft's game studios where ESP was developed, says Microsoft conservatively estimates this market at $9 billion. "Up until 2007, we haven't had time or energy to invest in that sort of thing," Boker says. "However, we knew the market was there. And it became clear how we could capitalize on that." The strategy—to explore new ways of finding a new revenue stream for an old title. It is an interesting, lateral leap for Microsoft—or any entertainment game maker. 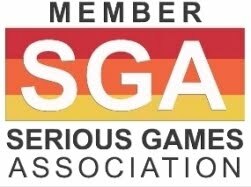 The Serious Games market is currently valued at about $150 million, according to Ben Sawyer, president of the Portland (Me.) 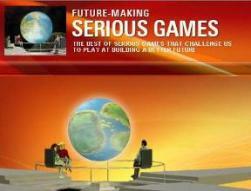 consulting firm Digitalmill and co-director of the Serious Games Initiative. While not huge, that's nearly three times more than in 2005, according to Sawyer's estimates, and growth looks set to continue. Then there's the larger simulation and 3-D modeling market (which includes military training sims, design prototyping, and educational software for a variety of corporate and school settings). This market does overlap with Serious Games, and it's so vast that it's hard to quantify, so it poses a much larger, tempting potential revenue stream. Boker says Microsoft conservatively estimates this market at $9 billion, based on its internal tally of various analyst forecasts from Frost & Sullivan and other sources, as well as proprietary research. In theory at least, Microsoft ESP can be used by designers working on digital prototypes of, say, cockpits, and not only companies working on flight simulations. That's just one way the platform might cross over. The Microsoft ESP product is meant to appeal to designers and non designers alike. The familiar Windows-based environment allows for easy customization of scenes to include immersive 3D visuals. 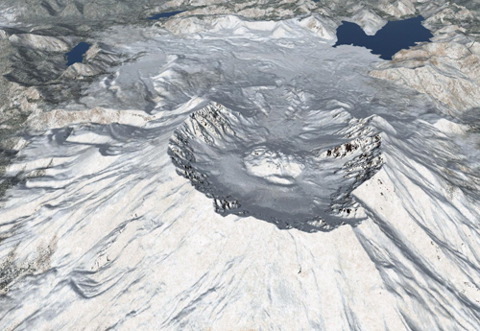 This snowy crater illustrates the level of detail that's possible with the software-without writing any code. Microsoft's New Market Entry - A Threat To Smaller Studios? It's the first time a major software company has entered the Serious Games arena with a product to help other corporations build their own employee-training video games in-house via a simple, Windows-based program. And priced at only $799 per license, Microsoft ESP poses a cost-effective threat to smaller studios that develop custom games—at a cost of $500,000 and up per game—for corporations, hospitals, and the armed forces. 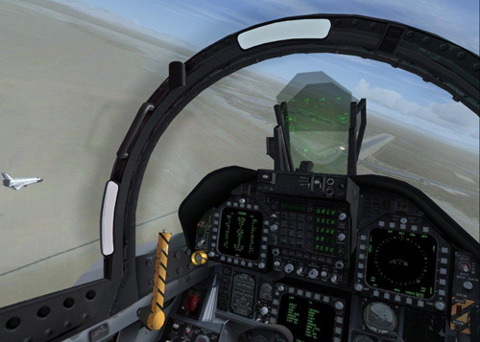 For years, companies such as military contractor Northrop Grumman (NOC) had contacted Microsoft, asking if they could license the game engine for Flight Simulator. "Since the late 1990s, there have been ongoing inquiries to our game studio by various companies who ask, 'Can we use this for training? How can we make it do this or that?'" recalls David Boker. But at first, Microsoft wasn't interested. By 2006, Boker says, Microsoft employees in the enterprise software side of the company started paying attention to increasing buzz around video game industry events such as the Serious Games Summit, a semi-regular conference on educational, military, and staff-training games. Boker adds that many of his colleagues also frequently discussed research on how people under 40 have grown up with video games, and how games could potentially be used as a learning tool. 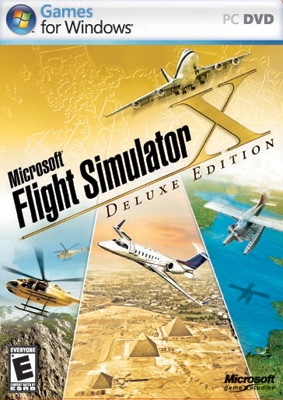 These incidents, along with the ongoing requests for Flight Simulator to be licensed or adapted for corporate and other non-entertainment uses—and a series of 250 interviews Microsoft conducted with members of the U.S. military and various international governments and academic institutions—convinced the software maker that the market was real and Serious Games were worth pursuing. Microsoft hopes that designers of airplanes will gravitate toward its ESP platform. The company is pitching it as a way to create quick three-dimensional mock-ups of dashboards and instruments, as well as lighting schemes, so they can experiment with ideas for a pilot's environment. Observers see Microsoft's new involvement as a possible tipping point for Serious Games—and as a sign that entertainment video game developers, publishers, and designers could also repurpose their products and game engines to generate new revenue streams. Using Microsoft ESP could also pay off for the companies that opt to use it in terms of time and money saved when creating employee-training games. Northrop Grumman, for instance, has been beta-testing the ESP platform and its early incarnations for the past several months. It saw significant slashes in budgets and schedules. One team used ESP to create a prototype of an aviation simulation training game—in only three days. "Typically, the same type of simulation would have taken six to 18 months to make from scratch," says Randy Schmidt, a technical director at Northrop Grumman. "I was surprised." Schmidt says the Windows-based platform and the easy-to-use interface of the software made it simple to choose from a library of cockpit, terrain, and other design elements—all originally created for the Flight Simulator video game—and combine them with Northrop Grumman's own visuals and software. A built-in VoIP feature allows each training simulation to function much like a multiplayer entertainment video game played online. Using a broadband connection, as many as 30 employees around the world can engage in simultaneous training exercises within a serious game made using the Microsoft ESP platform. 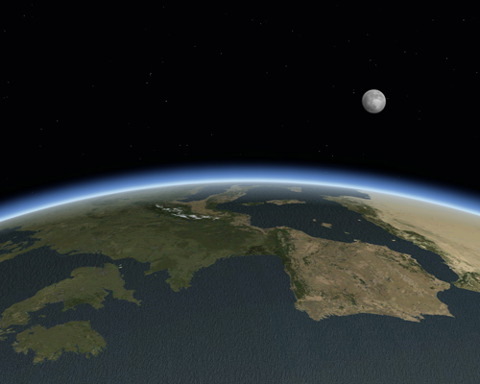 Seen here is a screenshot of the earth seen from outer space, created using ESP. Employees in offices in different countries, for example, might be able to act as co-pilots on a manned spacecraft mission using a training game made with ESP. Schmidt adds that to build a complete training aviation simulation—beyond the prototype phase—with realistic 3D graphics from scratch and for a military customer, could still cost well into the tens of millions of dollars. But the cost savings, in terms of purchasing the $799 license for Microsoft ESP that can be used for multiple Serious Games, is vast, he says. The Windows interface is designed so that in-house designers can create a simulation without writing new code (so no expense of hiring an outside developer). "The entertainment-game graphics are quite realistic," he says. Some of the military sims look like poor-man's versions of video games." But Schmidt also says Northrop Grumman won't stop experimenting with other Serious Games platforms. The company is still seeing how it can use the online virtual world Second Life for training games. Northrop Grumman is also continuing to work with Hunt Valley (Md. )-based Breakaway Ltd., which makes a competing do-it-yourself software platform called mosbe that allows companies to create custom training games, and which has a long history of creating training sims for the military, hospitals, and even bank auditors and consulting firms such as Booz Allen Hamilton. Microsoft is certainly the new kid on the block when it comes to Serious Games, so it might still have some lessons to learn when adapting the ESP platform to have the widest market appeal possible. Scot Shiflett, visual systems team lead in the analysis, simulations, systems engineering, and training business unit at Science Applications International, a San Diego-based technology company with a variety of products ranging from robotic testing devices to storm-warning systems—and another company Microsoft allowed to beta-test ESP—says the software platform is lacking some crucial elements. "Right now, ESP meets some FAA requirements in terms of commercial flight simulators. [But some are] not there yet," he says. For instance, ESP doesn't allow designers to create an on-screen display with what's called multichannel synchronization. This means images must match up in real time if shown in different frames onscreen—so there's no chance of pilot confusion. Currently, this is an FAA requirement for commercial airline simulators, Shiflett says—but one that was apparently not addressed in ESP's offerings. Getting the virtual world to match this FAA requirement will only help Microsoft to win more business in that area, he adds. But Microsoft is already working on version 2.0 of the ESP platform, Boker says. The next round will feature additional types of graphics, including ground and sea environments. Currently, the imagery only features scenes of the earth as seen from above, because it's focused at the aviation industry. Future versions will expand the product's reach, so companies that focus on security, or potentially even other industries, from health care to sales teams in a variety of fields, can also build their own training games. Buzz is building around ESP, and it's sure to continue. During the Serious Games Summit at the Game Developers Conference in February—the gaming world's must-attend yearly summit—Boker and his team will present the final version of ESP to attendees. This high-profile venue will expose ESP, which will still be relatively fresh off its Jan. 1 launch, to a wider audience than the military-training trade shows where its early stages were previewed. Whether or not ESP takes off and proves to be a lucrative new revenue stream, the Microsoft brand name is sure to gain attention in the Serious Games arena among customers and competitors alike. It's already resulting in a more serious look at the growing Serious Games market overall.